No matter how beautiful your tile is, if the grout is in bad shape it can make your bathroom look like it belongs in a 1950s motel. 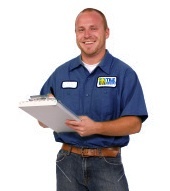 Most of the time, killing mildew and resealing the grout will cure the problem. 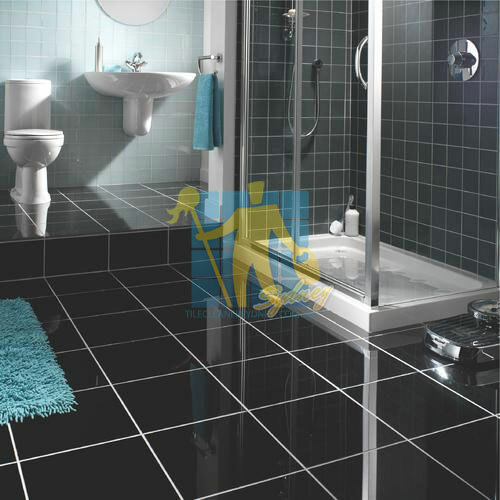 But if the mildew persists or the grout is really shot, or if the grout has succumbed to the ravages of time and moisture, or if the grout is hopelessly stained, crumbling or missing between tiles making it look bad, allowing water, dirt and debris to accumulate and even damage the tile substrate. then it's time to re-grout! 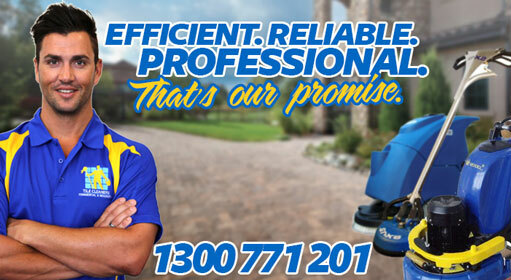 Re-grouting is the only way your tiles can look new again when the grout is severely damaged. Another reason to re-grout is to change to a different grout color when grout color sealing is not applicable. If you have grout that's discolored but otherwise intact, you can often restore it with a grout colorant (Grout Color Sealer). In addition to brightening the grout, it helps seal against water, mold, mildew and stains. Grout colorant doesn't scrub off, and can be used on large areas or for small touch-ups. Grout Colorant is applied after thoroughly cleaning and drying the grout according to the directions on the product. Grout is a construction material used to embed rebars in masonry walls, connect sections of pre-cast concrete, which fills in the cracks between tiles, keeping them together and preventing damage to the sides of the tiles. Grout is generally composed of a mixture of water, cement, sand, often color tint, and sometimes fine gravel (if it is being used to fill the cores of cement blocks). It is applied as a thick liquid and hardens over time, much like mortar. Grout saw or grout scraper; a manual tool for removal of old and discolored grout. 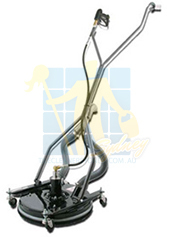 Grout float; A trowel-like tool for smoothing the surface of a grout line, typically made of rubber or soft plastic. Dremel grout attachment; an attachment guide used in a die grinder for faster removal of old grout than a standard grout saw. Grout sealer is a water based or solvent based sealant applied over dried grout that resists water, oil, and acid-based contaminants. With time, grout can get dirty, especially the grout used around kitchen and bathroom tiles which are exposed to food, soaps, and lots of water. 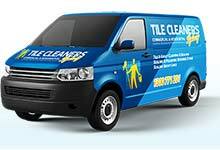 It is relatively easy to clean tile grout, especially when it is regularly maintained. 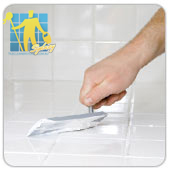 Regrouting is needed to repair damages and joints or when the tile is about to come off or is off. Regrouting may also be required when the grout is so discolored that it's impossible to restore it back to it's original condition just by cleaning. A special chemical is used to do this process with a scrubber or high water pressure to remove all the dirt from the ground. One of the most common problems we see is cracking and flaking grout around wet areas such as baths, showers, basins, kitchen sinks etc. The problem is, if left and not treated water can soon seep into the cracks and corner joints and work its way into the wooden framing as well as the floor, causing irreparable damage to your home and making it damp and unhealthy. Addressing these problems right from the outset will not only solves the appearance of the grout but may also avoid considerable disruption and escalating repair costs in the future. Before you replace damaged grout, a little investigation is in order. 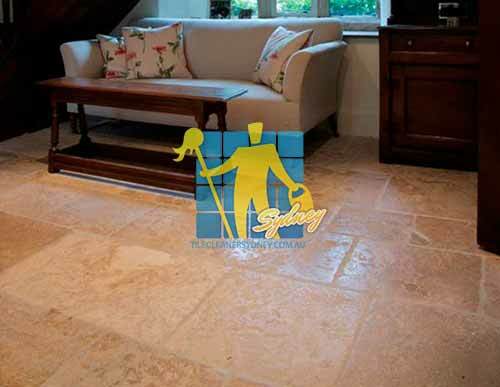 Cracked or crumbling grout often indicates that the substrate has cracked, shrunk or moved. Discolored or spongy grout may be evidence of a water leak inside a wall or shower pan. Re-grouting the tile without fixing the underlying problem is only a temporary solution. Once you determine that re-grouting is in order, how you handle it depends on how extensive the job is. If you're just repairing a small area and the existing grout is clean, you can press fresh grout into cracks and voids with your fingers. If damage is extensive say an entire floor with eroded or badly discolored grout you must remove the old grout. Be forewarned: this can be a difficult job, as the old grout must be completely removed down to the substrate. And if your floor has narrow (1/16 inch) grout lines, you'll need to work carefully or you may chip tiles in the process. 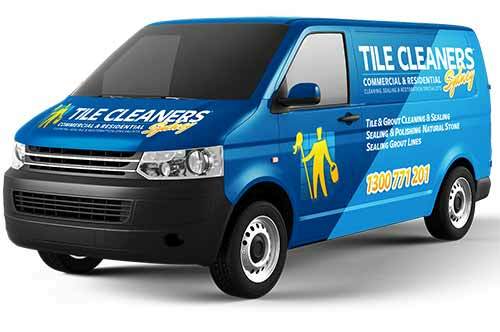 Tile Cleaners Sydney® can also seal the grout with an outdoor or an indoor grout sealer that will help provent your grout to acumilate the black dirt that make your grout look dirty from alot of traffic. This will make it easier to clean and maintain after this process is done. The best way to clean tile grout is to keep it clean: at least once a year, scrub down the grout, dry it thoroughly and apply a commercial grout sealer to keep liquid out. If the grout begins to crack or crumble, it should be replaced. Damage to grout not only looks unsightly: it can reflect damage to the surface underneath the tiles, or can result in damage to the tiles. Q: When do I know that I need regrouting? Q: Why do I need to regrout? What are the benefits of regrouting? Q: What is the difference between regrouting and cleaning and sealing the grout? Q: What type of tiles can we regrout?